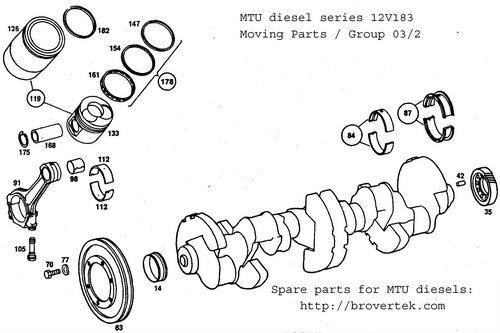 MTU diesel engine 12V183 moving parts. 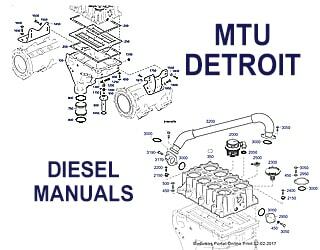 We and our partners offer some big new and recondition spare parts for MTU and Detroit diesel engines. The stock changes regularly and is quite varied. 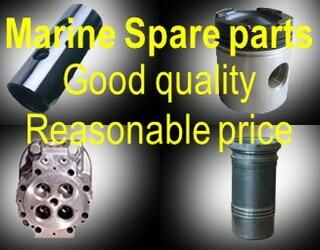 If we do not have spares what you need ourselves we may know where to find it for you. Send us an email with inquiry. 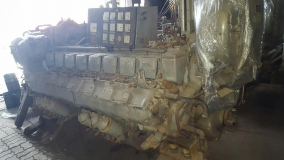 Please point in your inquiry the engine serial number and where the engine is installed. It is absolutely necessary information. 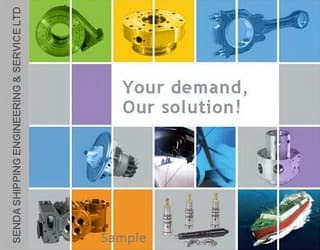 We inform you our possibilities very fast. 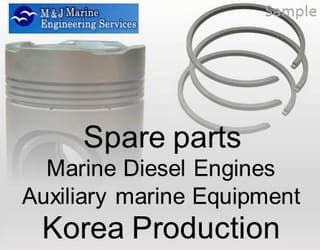 Spare parts for MTU and Detroit diesel engines offers. 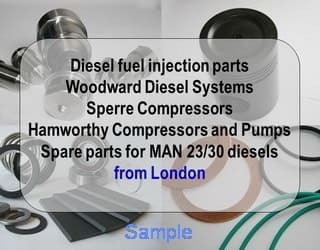 Restore complete diesel engines. 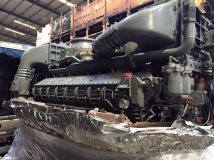 MTU 16V 538 TB91 diesel engine for sale.